2 Bedroom Apartment To Rent in Guildford for £1,495 per Calendar Month. 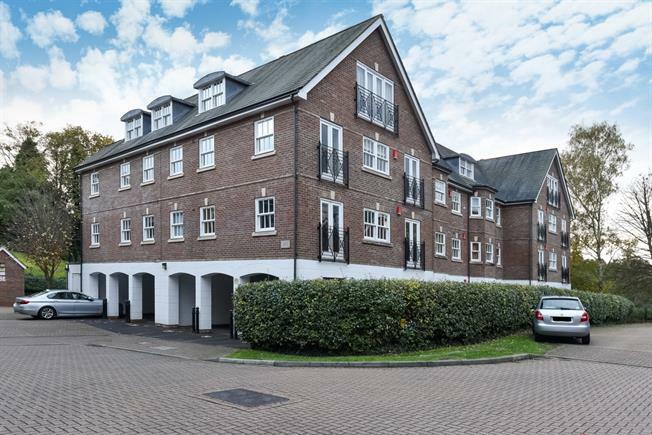 PREMIUM - A wonderful apartment in a prime position within the St Lukes development and approximately 1 mile of Guildford High Street. This apartment has been recently updated and offers a lovely living room with a balcony, kitchen, master bedroom with en suite shower room, second bedroom and family bathroom. This lovely apartment offers excellent living and entertaining space. There is also off street parking for 2 cars. Sells Close is situated on the sought after St.Lukes residential development on the former hospital site in central Guildford. St.Lukes is perfectly located in a quiet area close to the town centre within approximately 1 mile of the cobbled High Street and the main line station approximately 1.8 miles away which provides fast and frequent services to Waterloo in about 38 minutes. London Road station is approximately 0.9 miles away. Guildford has an excellent range of shopping, social, educational and recreational amenities and the A3 gives access to London and the south coast and via the M25 to Heathrow and Gatwick Airports. The development backs onto the Downs to the rear providing fantastic country walks whilst overlooking the town centre.